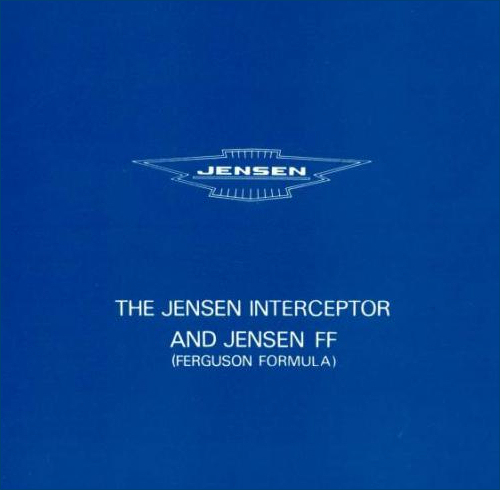 One of the most interesting automobiles of our time is the new model of the Jensen, which came out last autumn, especially in the FF (Ferguson Formula) version with four-wheel drive and Dunlop Maxaret brake governor. 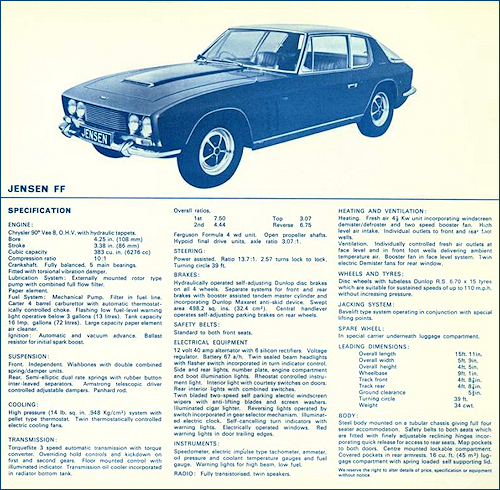 In September 1967 Jensen announced they had been hit by the US car safety regulations which were going to come into force the following January. They expecting there would have to be many redundancies resulting from the drop in demand for the Austin-Healey 3000 and Sunbeam Tiger though both had been modified to meet the regulations. At the end of the year they advised their shareholders that Austin-Healey and Sunbeam Tiger contracts had now ended. An American management consultant, Carl Duerr, replaced the chief executive. 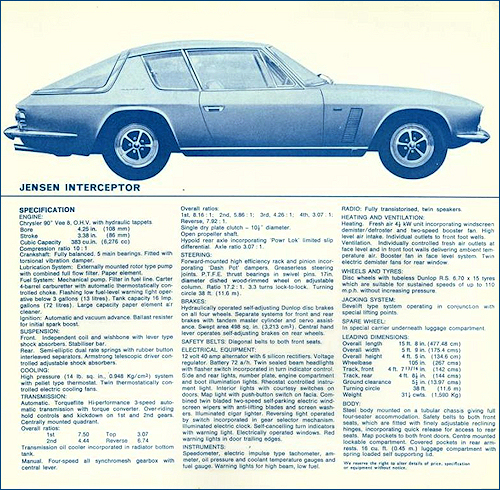 Jensen Motors would be a full-time car manufacturer.